Kooljaman is located 220 km north of Broome on the Northern tip of the Dampier Peninsula. Access is either by air or by four-wheel drive. Four-wheel drive vehicle—approximately 90 km of the road is unsealed and we say to allow 3 hours when driving from Broome. Kooljaman also has a private airstrip on site. Road transfers are available with various operators; departure days and prices vary. Call King Leopold Air on 08 9193 7155 for details of this one-hour charter flight. $5 pp day entry for commercial groups not staying overnight. Kooljaman at Cape Leveque is a unique wilderness camp which is surrounded by a diversity of natural wonders. The amazing wildlife, the vast array of marine life and the stunning coastline make this a truly unique experience. The two surrounding indigenous communities of Djarindjin and Ardyaloon (One Arm Point) jointly own Kooljaman, making it proudly 100% Indigenously owned. We have developed the camp in line with the community’s aspirations and their inherent knowledge of the land. Kooljaman at Cape Leveque has been established for 20 years and has won numerous state and national tourism awards in categories for Indigenous Tourism, Eco Tourism, Unique Accommodation and Cultural Tourism. Kooljaman at Cape Leveque has a variety of accommodations and has been designed to capture the rugged natural character of the Kimberley region. 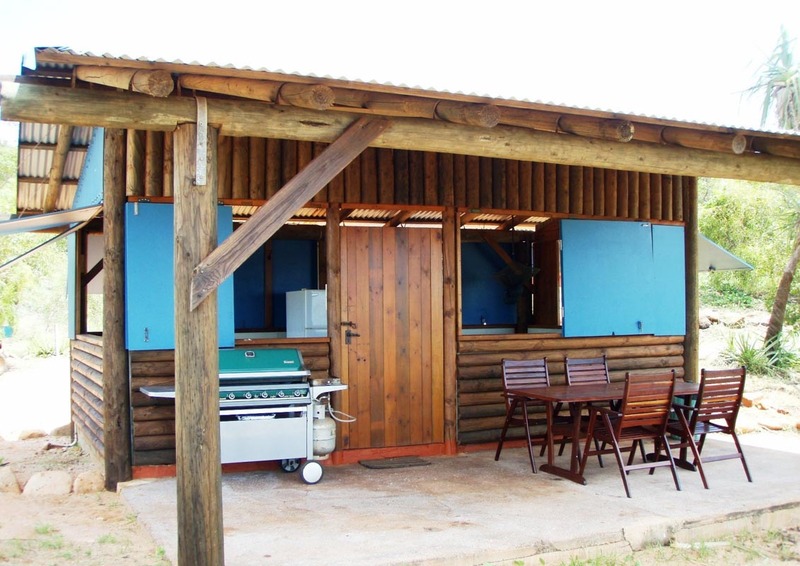 Choose from 1 Deluxe Safari Tent, 14 couples and family Safari Tents, 2 Cabins with an en-suite bathroom, 4 Log Cabins with shared facilities, 3 Campground Units, 4 Dome Tents, 11 Beach Shelters and 25 Campsites. Our Deluxe Safari Tent has its own balcony with timber dining setting and gourmet gas barbeque, comfortable sofa, a private bathroom, fridge/freezer, all cooking equipment, linen and quality fixtures and fittings throughout. A king-size bed will ensure that you are both well rested. Each cabin has its own timber dining setting, private bathroom, full-size fridge/freezer, all cooking equipment, linen and a gas barbecue on the veranda. Each cabin has one queen and two singles beds and features open construction; some have ocean views. They have all of the facilities as listed above for the en-suite cabins with the exception of the private toilet and shower. All of the Safari Tents sleep four people with one queen bed and two single beds. Each tent has its own large balcony with outdoor dining setting, a private bathroom, quality fixtures and fittings, full-size fridge/freezer, all cooking equipment, linen and a gourmet gas barbecue on the veranda.